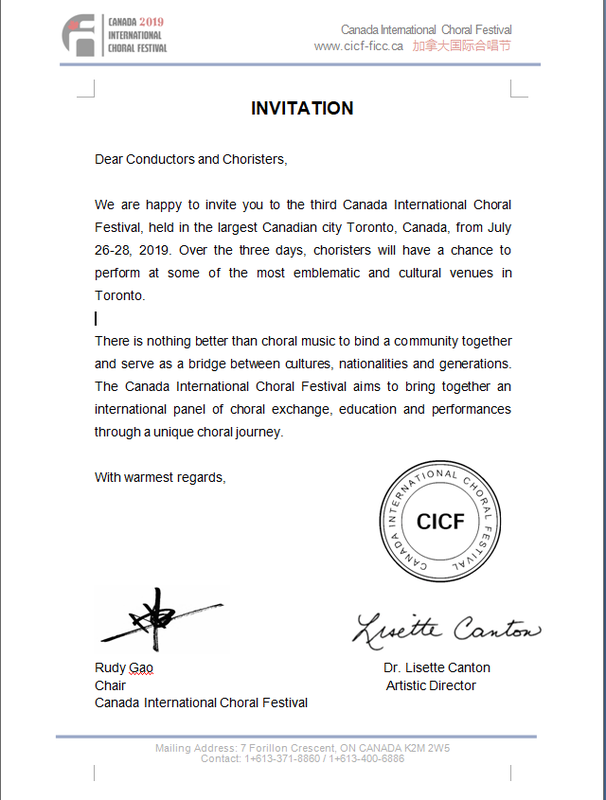 We are happy to invite you to the third Canada International Choral Festival, held in the largest Canadian city Toronto, Canada, from July 26-28, 2019. Over the three days, choristers will have a chance to perform at some of the most emblematic and cultural venues in Toronto. There is nothing better than choral music to bind a community together and serve as a bridge between cultures, nationalities and generations. The Canada International Choral Festival aims to bring together an international panel of choral exchange, education and performances through a unique choral journey.